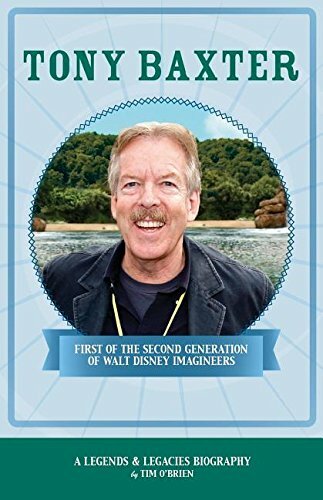 Tony Baxter joined Walt Disney Imagineering when he was 22 years old and is among the first of a second generation of Disney creatives who fashioned the magic found today in Disney parks worldwide. He would stay with the company for nearly fifty year and today serves as a mentor and consultant to the new, younger generation of Imagineers. .
Tony is credited for helping create such Disney attraction icons as Star Tours, Big Thunder Mountain Railroad, Splash Mountain, and the Indiana Jones Adventure. He has been lauded for his creative leadership at Disneyland Paris Resort, is a Disney Legend and has a personalized window on Main Street, U.S.A. in Disneyland Park, considered by many to be one of the highest honors a Disney employee can achieve. From ice cream scooper in 1965 to Senior Vice President of Creative Development in 2013, this is his story.